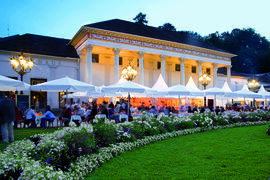 The Kongresshaus Baden-Baden, with its modern naturally lit complex, is situated centrally yet enjoys wonderful views of the gardens of the Lichtentaler Allee and is in close proximity to the majority of hotels. 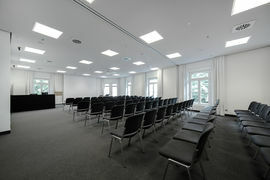 The Kongresshaus provides an environment where communication thrives: the 3 large conference rooms and 13 seminar rooms with their distinctive sizes and styles, featuring seating capacity from 12 to 680, enable flexible floor plans that can cater for all types of events. 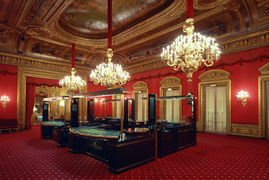 Alongside these rooms there are spacious foyers with 2,800 sq. 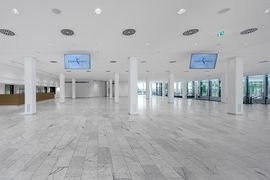 metres of space for exhibitions and trade fairs, where up to 2000 delegates can make the most of the exclusive atmosphere to communicate and network. 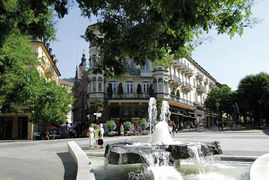 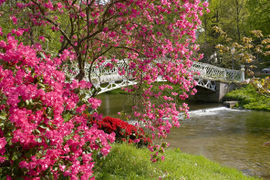 Baden-Baden is famous all over the world for being an elegant spa town and cultural centre with Mediterranean flair. 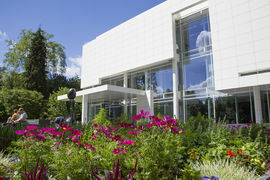 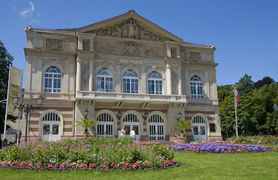 Since the opening of the Festspielhaus concert hall and the Museum Frieder Burda, Baden-Baden has also become a favourite among lovers of the arts. 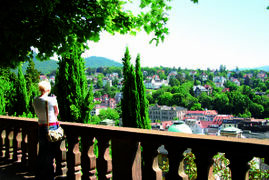 Baden-Baden is a paradise for people who wish to enjoy the finer things in life amidst a sophisticated environment and for those wishing to recharge their batteries in a short space of time. 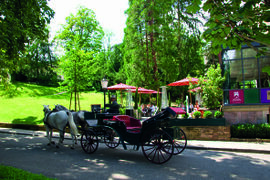 Whether it‘s health, beauty or wellbeing, art and culture, elegant shops or first class cuisine, sporting activities or walking tours in the wonderful Black Forest air – the offers are as varied as they are outstanding. 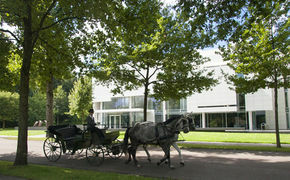 A must for all visitors is the stylish Culture Mile stretching for over 3 km along the 350-year-old “Lichtentaler Allee” with its magnificent parks and gardens. 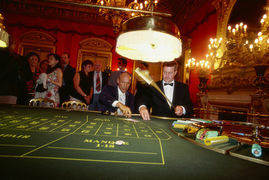 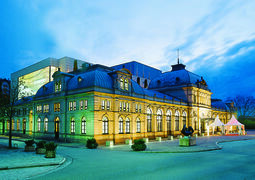 This cultural thoroughfare begins at the Festspielhaus – Europe’s second largest concert hall and opera house and then winds its way past the historic Trinkhalle pump house with its impressive Corinthian pillars and the snow-white Kurhaus – the social heart of the town and home to the casino with its majestic gaming rooms. 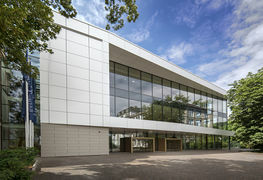 The cultural route then passes by the theatre built in the neo-baroque style of L’Opéra in Paris, the new Museum of 19th Century Art & Technology in the LA8 Arts Centre, the Staatliche Kunsthalle art gallery – a focal point for international contemporary art, the ‘Jewel in the Park’ – the Museum Frieder Burda designed by renowned New York architect Richard Meier, and the Baden-Baden Museum with its impressive glazed pavilion. 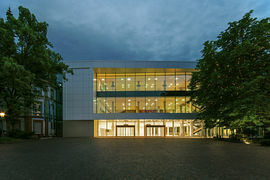 Signalling the Culture Mile’s conclusion is the Kloster Lichtenthal, a 760-year-old Cistercian abbey. 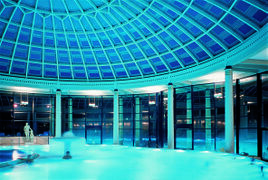 The two wonderful thermal baths – the modern Caracalla Spa and the historic Roman-Irish Friedrichsbad, 8 surrounding golf courses, the Merkur funicular railway that ascends Baden-Baden’s landmark mountain, the old and new castles and naturally the three times yearly (spring, summer and autumn) world famous international horse races at the nearby Iffezheim Racecourse, guarantee relaxation, wellbeing and entertainment that’s in a class of its own.